turning it to an opportunity is the best! A → problem is simply the difference between what you have and what you want. It may be a matter of getting something, of getting rid of something, of avoiding something, or of getting to know what you want. → Your attitude is extremely important. When you think of problems you'll only attract more problems. 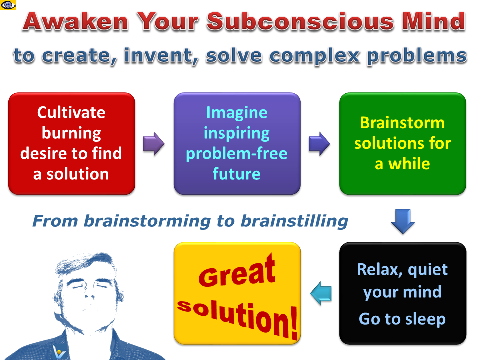 When you think of solutions – you'll attract solutions and opportunities. Approach the problem with the expectant attitude that there is an innovative practical solution just waiting to be found. 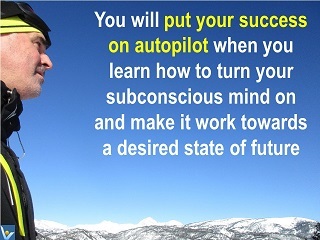 Be relaxed, confident and clear in your mind. The best strategy is to avoid potential problems and → prevent failures, yet problems do occur now and then. 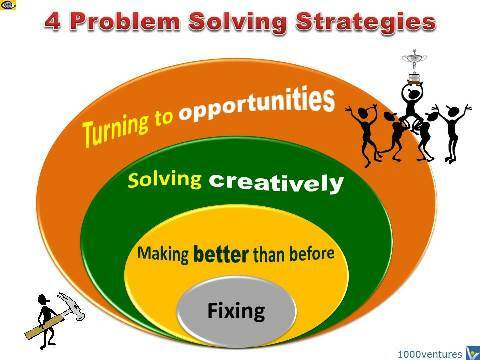 There are many different strategies for solving problems. You need to pick the strategy that fits the problem best. 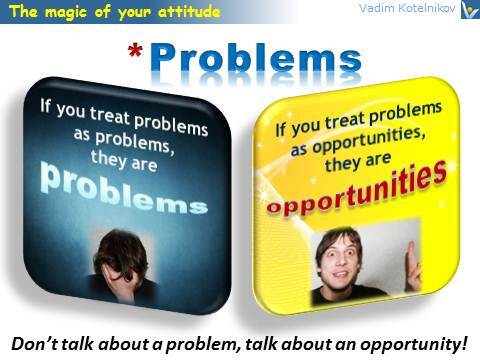 Treat problems as opportunities because that's what they are! Don't see problems as a course. → Balance is a key element of a → happy life and → sustainable business. Desires are the cause suffering. If desire, which lies at the route of all human passion, can be removed, then → passion will die out and all human suffering will be ended. He who wants to do good knocks at the gate; he who → loves finds the gate open. Everything will settle in its own place automatically. Problems are just opportunities in their work clothes. 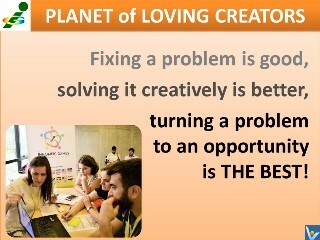 The greatest challenge to any thinker is stating the problem in a way that will allow a solution.. The solving a problem lies in finding the solvers. Don't ask one or two questions and then rush straight towards a solution. With an incomplete understanding of the problem it is very easy to jump to wrong conclusions. Never create a problem for which you do not have the answer. Create problems for which only you have the answer. It has been said that 98% of an organization's problems can be solved routinely. However, the remaining 2% of an organization's problems – the problems that have the greatest effect on the organization – require → innovation to surmount. 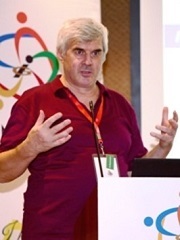 Build cross-functional expertise to be able to find innovative solutions to old problems. 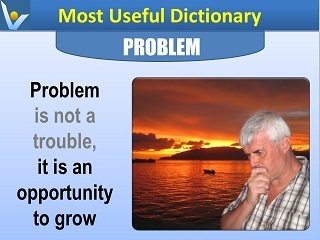 Simple solutions to many problems are often just nearby – waiting for you to find them. People problems are inevitable. Various people problems arise from the differences in → perceptions, negative emotions, or unclear communication. The greatest communication problem is that the message sent is not the message received. Often, the problem or the conflict lies not in objective reality, but in people heads. Prototyping can help you tackle problems when you don't have the answers. "When the project is especially complex, prototyping is a way of making progress when the challenges seem insurmountable. Focused prototyping helps resolve little critical problems one by one. Once you get in gear, you'll be surprised at how easily some of the solutions appear," writes Tom Kelly5 from IDEO.